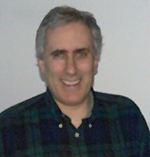 David Gersovitz is an expert on transportation, travel, labor and forestry issues. Throughout the 1980s, the fluently bilingual (English/French) Montreal native covered the aviation and railway beats, among others, for Canadian Press, Canada's national news-gathering cooperative. In 1985, he was appointed to the newly created post of national travel writer and built CP's first-ever consumer travel advice column into a highly successful product. In 1995, he became the first non-staff journalist engaged by the Reuters Air Cargo news service and in that capacity covered companies, specific markets (Canada and the US Midwest) as well as macro trends and issues in the North American air cargo industry until Reuters abolished that subscription news service in January 2002. Today, David provides strategic public relations support for clients in the transportation and resource sectors. He has written for aviation finance journals, air cargo publications and is regularly sought out by media for his expert commentary on aviation issues.